In her latest YouTube video, Victoria Beckham has treated her fans a behind-the-scenes glimpse of what went on at her autumn/winter 2019 catwalk show. The fashion designer took to the runway with her latest collection last month, but despite wowing critics with the designs it turns out not everything went smoothly. Even after months of preparation, 44-year-old Vic was forced to give up her own underwear to a model just seconds before she was due on the catwalk. Talking to the camera backstage, the star said, “Literally just had to give my bra to one of the girls,” before adjusting her jumper. Eek! Elsewhere in the video, Victorias proud husband David and their four kids Brooklyn, 20, Romeo, 16, Cruz, 14, and seven-year-old Harper also turned up at the show to support her. 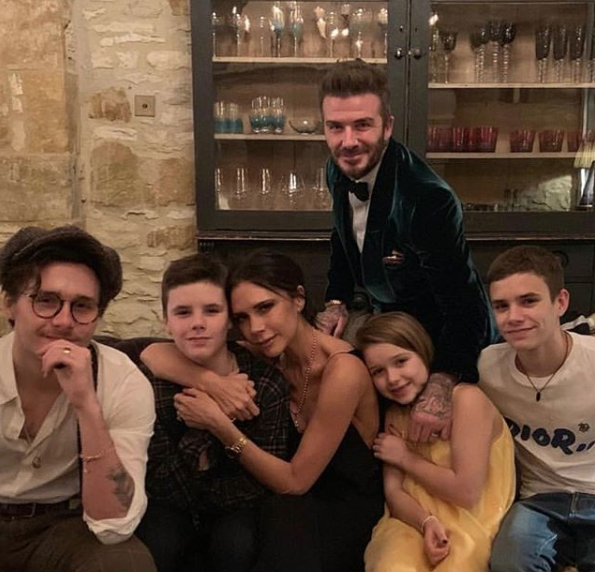 While David, 43, can be seen hugging his wife backstage, the Beckham brood then gushed over their mum while chatting to the camera. Teenager Romeo then sweetly added, “I love you.” AW! Later in the clip, Vic also gave her followers a peek inside her wild runway afterparty as Brooklyn and his girlfriend Hana Cross, 21, arrived looking just as glam as ever. The post Victoria Beckham suffers hilarious underwear mishap as she gives backstage glimpse of catwalk show appeared first on Woman Magazine.